The Bee Gees' family home on the Isle of Man is set to get a plaque. The property in St Catherine's Drive will be recognised with a plaque and the 'Childhood Home of the Bee Gees' will be added to the street sign. It was home to all three Gibb brothers before the family moved to Manchester in the 1950s. The Gibb brothers were born in the Isle of Man but later moved to Keppel Road in Chorlton before emigrating to Australia in 1958. 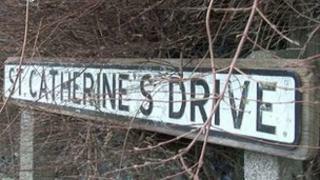 St Catherine's Drive is also the title of an album, recorded by the late Robin Gibb, due to be released later this year. The Bee Gees went on to become the fifth biggest-selling pop act of all time, producing 28 albums and shifting 110 million records in a career that spanned four decades. Barry Gibb is the last surviving Gibb brother. Maurice Gibb died aged 53 after suffering a heart attack during intestinal surgery at a hospital in Miami and Robin died in May last year after a prolonged struggle with cancer.